The Joker and Harley Quinn movie script is done, according to screenwriters Glenn Ficarra and John Requa. The Suicide Squad spin-off movie was first announced in the summer of 2017, but details surrounding the project have been scarce, other than the fact that Ficarra and Requa were hired on to write and direct the film. Since the initial announcement, the DCEU has gone through some major changes, which has left the future of the project in limbo. However, Requa and Ficarra are very happy with the script that they wrote for the movie and insist that Warner Bros. and DC Films are as well. In a recent interview, Glenn Ficarra and John Requa were asked about the Joker & Harley Quinn project. The directing/writing duo revealed that the script is complete and it has some pretty interesting influences. Ficarra and Requa even let fans know how the spin-off starts and it sound pretty crazy. Ficarra explains. "It is great. The whole thing starts with Harley kidnapping Dr. Phil. Played by Dr. Phil hopefully. Because her and the Joker are having problems with their relationship... It was sort of like, we wrote Bad Santa a couple of years ago, and it was that sensibility mixed with our This Is Us sensibility. We kind of meshed them together." As for when the Joker & Harley Quinn movie will come out, that remains a mystery, even to Glenn Ficarra and John Requa. The team have no idea where it is in the "queue of DC movies," according to Requa. Ficarra noted that they had the most fun they've ever had writing the script and says, "We handed the script in and everybody loved it." Warner Bros. and DC Films are currently working on Todd Phillips' Joker film as well as the Birds of Prey project, which is expected to begin filming early next year. 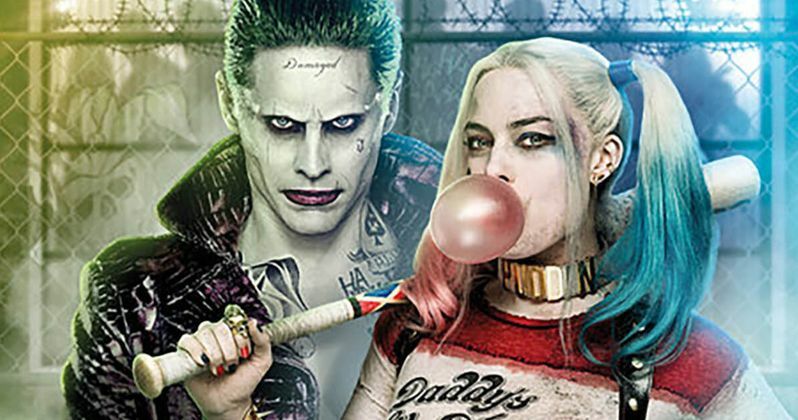 Jared Leto and Margot Robbie are expected to reprise their Suicide Squad roles in the Joker & Harley Quinn project and Robbie has said that it is "romantic, but in a messed up way." Anything having to do with those two particular characters is bound to be pretty messed up and entertaining. Robbie is suiting up again to play Quinn in Birds of Prey and Leto is reportedly attached to another Joker movie for the studio. It will be interesting to see if and when the Joker & Harley Quinn movie gets made. When it was first announced, DC Films assured that it would not affect Suicide Squad 2, which has now been pushed back. With Todd Phillips' Joker currently in production and Birds of Prey launching in 2019, there's not a whole lot of room for more Joker and Quinn projects. At the very least, DC fans know that the script is complete and that it has some pretty bizarre influences. Metro originally conducted the interview with Glenn Ficarra and John Requa.